December | 2013 | Sonic Smash-Music! 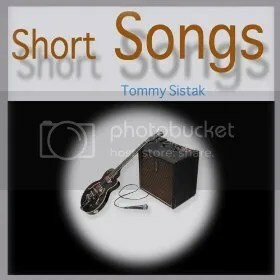 The composer and performer of rock ‘n’ roll known as Tommy Sistak has released his latest EP music album, titled, “Short Songs.” The album is comprised of 10 original tracks for an approximate total listening time of half an hour, making for a comprehensive treatment of Sistak material and a round introduction to this legitimate and jumping 1960’s pop revival. Sistak’s songwriting is one of his strongest allures, however, and in this he has more in common with the oft-overlooked UK band, Slade, who managed 17 consecutive Top-20 hits with six of them at No. One, making them the most popular British rock band of the ’70s according to sales of single tracks. Their standard verse-chorus form of pop composition follows precisely with the trend of ’60s rock music, and in this Tommy Sistak has like interests. Intuitively, Sistak’s “Short Songs” is populated almost uniformly with tracks between two and a half and three minutes. The product is an EP that never gets tiresome, as its themes are widely varied across 10 singles with an overall length that is refreshingly brief while remaining sonically rich and textured. Tommy Sistak grew up playing in garage bands in suburban Chicago. He was a longtime member of the well-known and respected band, Bagshot Row, with whom he has shared the stage with Davy Jones of the Monkees, Peter Noone and Herman’s Hermits, and Eric Burdon and the Animals. “Short Songs” by Tommy Sistak is available online worldwide beginning 3 January 2014. The international composer of digital dance music known as DJ Narc (often stylized NARC) has released his latest single, titled, “Me Gusta La Fiesta.” The track is the newest in a steady stream of releases from DJ Narc which began in October of 2013 with his official debut track, “The Narcharmonic Orchestra.” This was followed closely in November by “The Narcharmonic Voyage” and “Sonic Accelerations,” as well as in December with “The Doppler Effect.” With this new dance track, DJ Narc has added decidedly Latin tones to his repertoire and proven yet again that his style is varied, complex, and well-suited to any atmosphere at which his sounds might be featured. 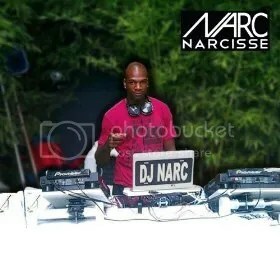 DJ Narc has maintained that his musical inspirations are rooted in records by contemporary legends like the Swedish House Mafia, Avicii, or Calvin Harris. DJ Narc’s “Me Gusta La Fiesta” is available online worldwide 3 January 2014. The singer and songwriter of pop and hip-hop music known as Maverik has released his latest new single, titled, “She Likes It.” The track has been released jointly on the Star Since Birth Entertainment and Pushkeys music record labels, produced by Balistic and mixed by Hush. It has been concurrently published along with his new, official Maverik music video for “She Likes It,” shot on location at the beachfront of his hometown in Boston, MA. A hugely danceable hip-hop track with Caribbean flavors and an unstoppable violin melody line, “She Likes It” is obvious proof that Maverik is a name to watch in the coming months. Maverik cites as main artistic influences such names as Andre 3000, Pharrell, Bob Marley, Beres Hammond, Missy Elliott, and Busta Rhymes. A longtime stage performer himself, he has opened for the likes of legends such as Lil’ Wayne, Rick Ross, Common, Talib Kweli, Shaggy, Beenie Man, Serani and Collie Buddz. Among these Maverik fits like a glove, with a catchy hip-hop groove and an American swagger, made culturally richer and more complex by his Caribbean roots. His presence on the “She Likes It” music video showcases him as a charismatic and energetic music performer. Maverik has been educated at college and lives a high-energy lifestyle from which he pulls his largely autobiographical and positive lyrics. His uniformly good musical taste sets his tracks apart from the growing morass of clone-like independent hip-hop tunes. “She Likes It” is hailed on the World Star Hip Hop website as the first track from the upcoming “Talent and Creativity” mixtape. “She Likes It” by Maverik is available online worldwide beginning 3 January 2014. 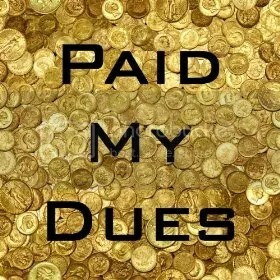 The singer and songwriter known as Pro Freshonal has released his debut single, titled, “Paid My Dues.” The single is a rock track with elements of modern blues music and a heavy emphasis on direct, heavy-hitting and plainly spoken lyrics. Focused mainly on low-down chord progressions played on guitar and recorded with clean-channel tones, “Paid My Dues” is an excellent representation of music written from the mind as well as from the heart, and stands as the world’s official introduction to this exceedingly creative musician. Pro Freshonal cites as main artistic influences the poet Charles Bukowski, the late comedian Bill Hicks, Marty Friedman and Dave Mustaine of Megadeth, Cliff Burton of Metallica, Madonna, and Michael Jackson. Interestingly enough, it is the foremost two who feature most prominently in his work on “Paid My Dues,” as the writing in English is easily as important to the draw of Pro Freshonal’s song as are his considerable musical chops. His devotion to the blunt and the frank forms of communication is shared by both Bukowski and Hicks. Though they come from nearly opposite categories of art (poetry and comedy) their works have always stood as examples of how brute-force clarity of speech with no holds barred can easily surpass euphemistic language, not only in terms of precision, but also in artistic value. Pro Freshonal has been playing guitar for more than twenty years, and has returned to the music field to make his play as a professional composer once and for all. This debut single was recorded with the help of the industry’s best minds. Music, lyrics, vocals, guitar and bass on “Paid My Dues” were written and played by Pro Freshonal, with percussion by Steven Wolf recorded at Monster Island Studios. Engineering was provided by Blake Eiseman at Binksound Studios, with mastering by Scott Hull at Masterdisk Studios. “Paid My Dues” by Pro Freshonal is available online worldwide beginning 3 January 2014. The eclectic composer and performer of music known as Fjazz has released his latest EP record, titled, “My Days to Count.” The record is comprised of eight original tracks for an approximate total listening time of 9 minutes. Like Fjazz’s other, previous quality releases, his “My Days to Count” EP has been released on the acclaimed Scotch and Murder music record label. Fjazz’s EP blends his various music backgrounds into an instrumental mix that includes piano and strings, as well as his own roots in the electronica music scene. The resulting effect is both ambient and crisp, often cold, and mostly heard in hues of gray and blue. This is absolutely fitting for the themes and atmospheres of the short film, the public Kickstarter page for which declares it to be a story of an “encounter of two strangers in the aftermath of loss [which] uncovers an inexplicable connection.” The Kickstarter project for the “My Days to Count Film” ended on 25 October 2012 with smashing success. Of the requested $3,000 in necessary funds to complete the film, its Kickstarter campaign finished with $3,986 having been donated, an excess of nearly 33%. Fjazz’s soundtrack adds weight, complexity and class to an already sharp and tasteful short film. His music is at once reminiscent of classical music by Beethoven and of the background scores to movies from the days of old silent cinema. Fjazz is most recognized for his work in electronica and EDM, though his considerable talents often bring him across genres, and his digital compositions usually feature many components of categories outside the traditional house music subgenre. 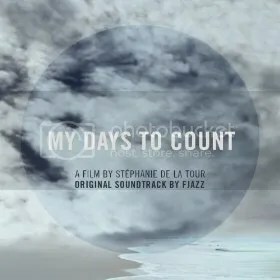 The “My Days to Count” soundtrack by Fjazz is available online worldwide beginning 3 January 2014. The singer and songwriter known as Stephen Teckenoff has released his new single, titled, “Emily.” The song has been independently released and represents Teckenoff’s most significant official music publication to date. In addition to Teckenoff’s considerable skills, the single also features beautiful vocals by Djess Horner. An uplifting song penned and performed with genuine humanist intent, “Emily” is a song for the modern day that examines the responsibility one may have to one’s online acquaintances, and stands as a solid example of what might be done to help those in times of intense emotional need. Teckenoff cites as main artistic influences such legendary songwriters as Ben Harper, John Mayer, Dave Matthews, David Grey, John Butler, Adele, Bonnie Raitt, and Eddie Vedder. Teckenoff reflects many of the finest attributes of these. His single is moving to hear and tempered also with a slight edge that denotes his affinity for the music of Pearl Jam. Like Vedder, Teckenoff’s sound is raw, natural and warm, so that his vocal timbre on “Emily” sounds sounds both precise and unforced. 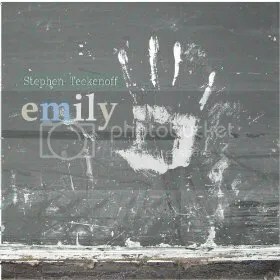 The tone and flow of “Emily” strongly suggest that Teckenoff’s talents for the writing and performing of music come innately to him. Standing most prominently at the center of “Emily,” however, are the motives and themes of Teckenoff’s song. The situation didn’t strike Teckenoff as anything to take lightly, having experienced times of tragedy firsthand. Teckenoff is originally from Cowaramup, Western Australia, but moved to Central California’s San Luis Obispo area at age 12. Having returned to Australia where he resides in the musical hotbed of Perth, he entered the music studio for recording after receiving high acclaim for live performances at open mic nights. “Emily” by Stephen Teckenoff is available online worldwide beginning 3 January 2014. 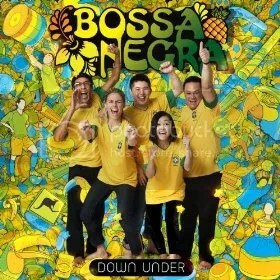 The international collaboration of musicians known as Bossa Negra have released their latest single, titled, “Down Under.” The single is a work that blends the talents and sounds of many disparate cultures in celebration of Australia’s Socceroos soccer team, who recently won their bid for qualification to the 2014 World Cup championship tournament. 2014’s World Cup will be hosted by Brazil. The single is a “samba reggae” and “axé” track showcasing the gentle joyousness and fun-loving nature of the Brazilian sound. In addition to its genuine South-American flavor, it also features some surprising elements both pleasing to the ear and intriguing to the mind of a music aficionado. The single track is a musical concept from producers Howard Lee and Latin-Grammy winner Sérgio Luiz Brandão, with the aim of making Brazilian music accessible outside of Brazil without compromising the integrity of the music. It features celebrated music legends from both Brazil and Australia. The single has also been released with a handful of bonuses, such as a karaoke track for singers and precision drum loops for practicing percussionists. Dancers with a penchant for the Bahian style of dance will also find the music exceptionally suitable. Bossa Negra cite as main artistic influences such titans of the sound as Ivete Sangalo, Daniela Mercury, Carlinhos Brown, Timbalada, Gilberto Gil, and Caetano Veloso. Bossa Negra made their international debut at the Shanghai World Expo of 2010 with a series of performances at the Americas and Greenland stages. They are responsible for bringing Brazilian music to the mainstream Chinese audience for the first time by singing in English, Mandarin and Cantonese. They released the world’s first bossa nova song to be sung in Chinese in the summer of 2011. “Down Under” by Bossa Negra is available online worldwide.